benetnash wrote: Just got the acceptance letter today! It came via snail mail, in a small envelope. If it helps clear anything up, my status checker went blank a few days ago (my letter is dated the 17th), and it hasn't changed since. Also, there isn't anything listed under mailings (except the acknowledgment email), so I would definitely not panic if there's nothing listed there. I live about an hour outside Seattle, so if you're further away and haven't gotten anything I'm guessing it's in the mail! what did the letter say about $$? sarlis wrote: what did the letter say about $$? The acceptance letter was pretty vague on $$, but it does mention it. It only says "We know that one of your concerns will be the cost of your legal education and we realize that you will be weighing our acceptance against other offers. Please note that we are committed to providing as much financial aid as possible and to supporting loan repayment assistance programs for graduates who enter public service employment." Good to know, but I could use some more specifics. Do you think I just got the letter sent out to the saps who don't get anything? I'm not really familiar with how UW works on this. Should I write a why UW? I am still ready for review, mainly because my University didn't send out my Form B until the deadline and I have a subpar GPA for them (~3.6) but an above Median LSAT, but it seems they place more emphasis on GPA rather than LSAT, so I am wondering if it would help? I am non-Resident too (CA), but really would like to work/live in Seattle and go to UW. Last edited by crm on Sun Feb 21, 2010 7:19 pm, edited 1 time in total. benetnash wrote: I originally had an answer, but my inner Admiral Ackbar was telling me it was a trap. I should hold my reasons private so I can have a LOCI that stands out if necessary. Oh ok. Sorry I was just wondering because I am having a hard time deciding for myself and I don't think I'm going to be able to take a trip any time soon to visit (I'm from NJ). I was just looking for information besides what their web site has to say. Not too many people in my area that I have asked have much of an opinion about UW's law school. I got an email today from UW and I was like ahhhhhhhhhhhh..... CLICK! And it read: We're having trouble with the addresses of a few of our applicants. We have a letter for you, can you tell us where to send it? I told em to send it to my perm address in WA this time. Hopefully I get it this week. Don't worry about it...perhaps I am being too overly cautious and paranoid, but to be vague its location and the quality of the curriculum as well as the students for me. for those recently accepted- how long did you stay "In Review"? Of the people that received decisions recently...when did you go complete? lol, I knew someone would either post this or shots of the drug markets down in pioneer square/belltown. 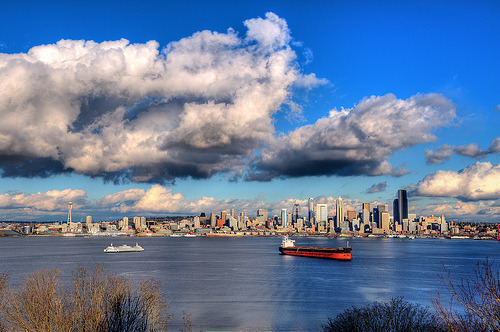 For all the folks lovin the computer enhanced images of Seattle, I'm from here and I love my city, but its not all sunshine and lollipops. There is a lot of homelessness, which the city doesn't really have a plan to combat, and which is especially prevalent on the Ave (the heart of the University District neighborhood where UW is located). Also, open air drug markets are pretty prevalent in the Downtown core, Pioneer Square, the International District, and, you guessed it, on the Ave.
That said, Seattle is amazing and I love living here, just don't be surprised that Seattle faces many of the same problems of any urban area. lol, just as I wrote that, my status on UW status checker just went blank. Come on good news!!! seattleguy wrote: lol, I knew someone would either post this or shots of the drug markets down in pioneer square/belltown. 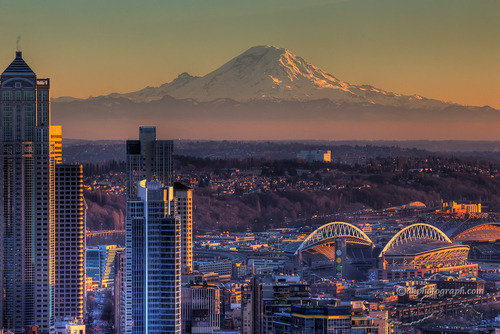 For all the folks lovin the computer enhanced images of Seattle, I'm from here and I love my city, but its not all sunshine and lollipops. There is a lot of homelessness, which the city doesn't really have a plan to combat, and which is especially prevalent on the Ave (the heart of the University District neighborhood where UW is located). Also, open air drug markets are pretty prevalent in the Downtown core, Pioneer Square, the International District, and, you guessed it, on the Ave.
Yeah, whenever I run through downtown Seattle, I'm always surprised at the number of bums and hippies. You'd think it'd wear off eventually, but I mainly hang out at the yuppy areas (MI, Fremont, Queen Anne, Redmond, Bellevue). That said, it's still a gorgeous city, and the weather is great. No snow this year! And it was warm enough this weekend to play shirtless flag football. But it will never be as bad as Portland - street kid zombies everywhere there. Of the people who have received decisions thus far have they all been acceptances? I called today and the woman told me that I should accept a letter soon (my status went blank today) and I just wanted to know what kind of decisions they had been sending out. I went complete mid December and into review in early February. apurkey wrote: Of the people who have received decisions thus far have they all been acceptances? I called today and the woman told me that I should accept a letter soon (my status went blank today) and I just wanted to know what kind of decisions they had been sending out. I went complete mid December and into review in early February. LSN obviously isn't a great help for UW but it shows nothing but acceptances so far. What kind of camera did you take these with, they're really nice. Have been closely following this thread but haven't posted. Received my acceptance today, UW is my dream school (grew up 5 minutes away and am a husky fanatic) so I will almost certainly be attending in the fall. Was pretty 50/50, lsat 164 gpa 3.45 so I am obviously pretty excited. If it helps I went blank around Wednesday of last week, and I live in Los Angeles. Good luck to all! Last edited by sgarrison on Mon Feb 22, 2010 8:32 pm, edited 1 time in total. I am hoping to get a letter tomorrow. I need to book plane tickets, dammit! sgarrison wrote: Have been closing following this thread but haven't posted. Received my acceptance today, UW is my dream school (grew up 5 minutes away and am a husky fanatic) so I will almost certainly be attending in the fall. Was pretty 50/50, lsat 164 gpa 3.45 so I am obviously pretty excited. If it helps I went blank around Wednesday of last week, and I live in Los Angeles. Good luck to all! Congrats! How were your softs? I don't know, I mean doesn't everyone think they have great softs? I am still in undergraduate though so it was mostly related to work/volunteer experience during college. Nothing extremely out of the ordinary I would guess. sgarrison wrote: Have been closely following this thread but haven't posted. Received my acceptance today, UW is my dream school (grew up 5 minutes away and am a husky fanatic) so I will almost certainly be attending in the fall. Was pretty 50/50, lsat 164 gpa 3.45 so I am obviously pretty excited. If it helps I went blank around Wednesday of last week, and I live in Los Angeles. Good luck to all! Nice, as a 3.48 167, and also a Husky fanatic whose dream school is UW, this is good news for me. I really wish I had pushed my LOR to be turned in sooner, so I could've applied earlier, oh well. Congratulations on getting into your dream school, I hope to join you (obviously). Last edited by HerseyChris on Mon Feb 22, 2010 9:45 pm, edited 1 time in total. I'm on the east coast, so I'm likely to be waiting this out for a few more days. Last edited by ChairmanWow on Mon Feb 22, 2010 8:51 pm, edited 1 time in total.